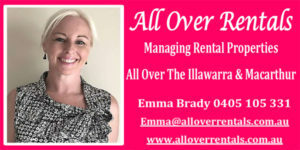 Home LATEST	What is Killing Our Banksia Trees? What is Killing Our Banksia Trees? 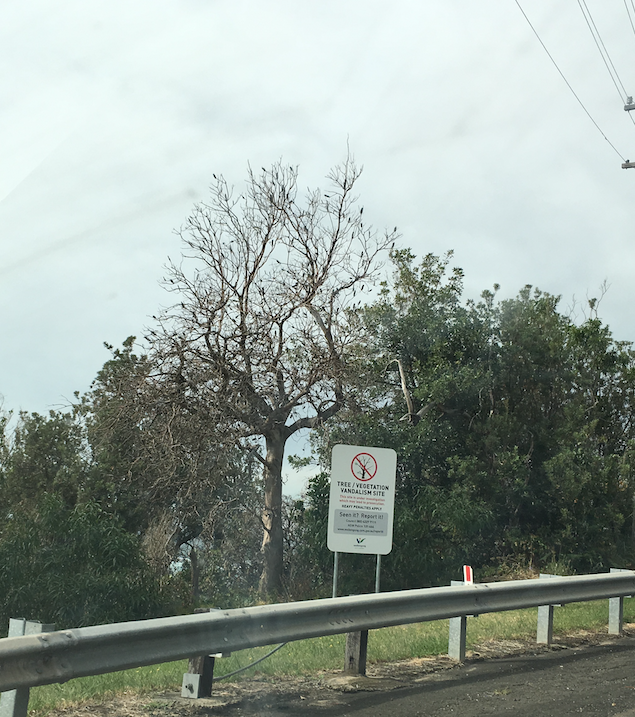 Look toward the ocean next time you make your way along Lawrence Hargrave Drive and you’re sure to see more than a few dead or dying Banksia trees. 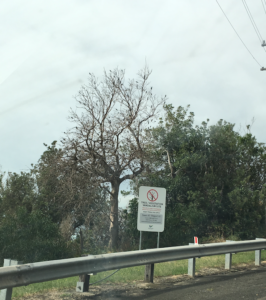 A massive sign has been erected at Coledale where the death of a large Banksia tree has been attributed to vandalism- in the belief nearby residents have poisoned the tree in order to improve their view. But if you look around, there are many dead trees that are not impacting anyone’s view, raising the question, are they dying of natural causes? 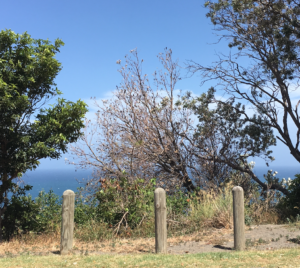 Questions have been raised because so many of the dead and dying trees are Banskia- whilst other nearby trees remain healthy- despite allegedly blocking views! 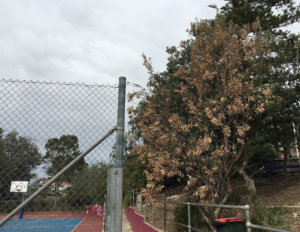 There’s a dead Banksia near Scarborough School. Another at the top of the road leading to Coledale Campground, another in the grounds of Austinmer Public School. There’s a large one in the yard of a home on the cliff at Coledale. 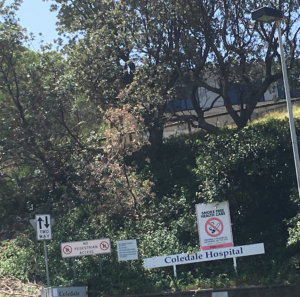 There’s even one on the entry ramp to Coledale Hospital. 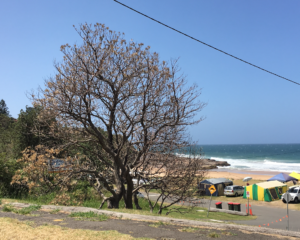 There is one in the front yard of a home on Buttenshaw Drive and a drive through the National Park will reveal several more dead Banksia along Lady Wakehurst Drive. And if you’re driving south along the Northern Distributor, there’s a dead one in the road divider near the Wollongong exit. That’s in addition to the numerous dead or dying Banksia along the foreshore at Coledale. 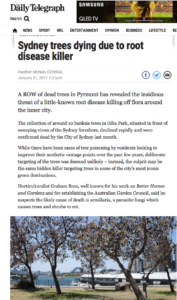 A quick Google Search uncovered this article– written 12 months ago in response to a similar situation in Sydney’s Pyrmont. Weird coincidence? Or Could this be what’s actually killing our Banksia? New Invention Sees Work on Austinmer Pools Take a U-Turn.